Item Detail - “AVENGE MANILA” CLASSIC “V” WORLD WAR II DESIGN BUTTON. 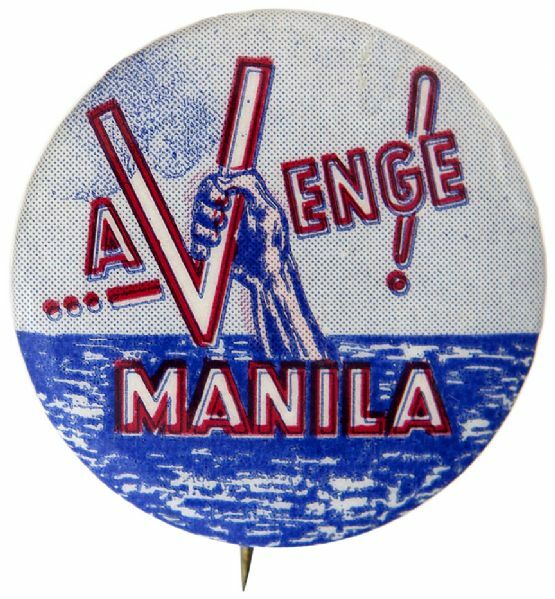 “AVENGE MANILA” CLASSIC “V” WORLD WAR II DESIGN BUTTON. 1.25”. Illustrated raised arm holds large “V” for Victory above water. Circa 1942-43. Near Mint Displaying Mint.